Family of Daragh Ryan, the 30-year-old man who lost his life in a recent collision beside the Islandbridge gate to the Phoenix Park in Dublin, said he a was a “brilliant and kind young man with a bright future”. 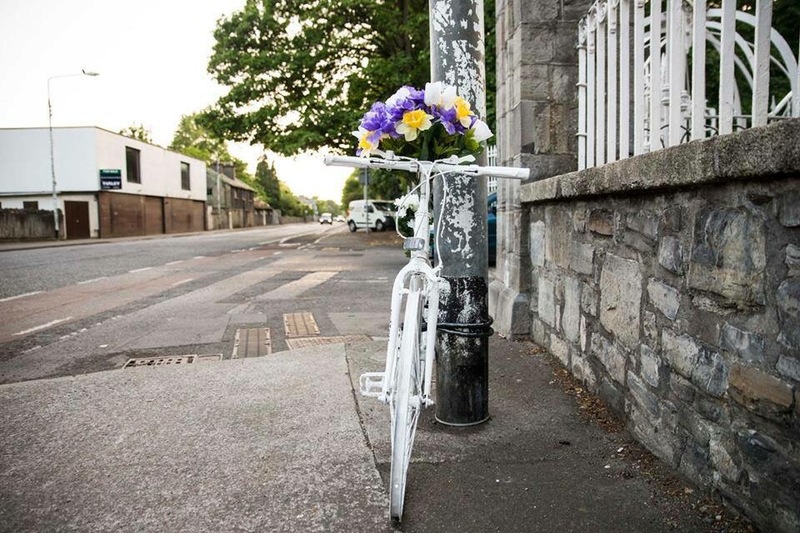 His family have placed a ghost bike at the junction where the collision happened last month. IMAGES: Photos by Emma Loughran. A posting like this brings home the stark reality of a tragedy such as happened here. 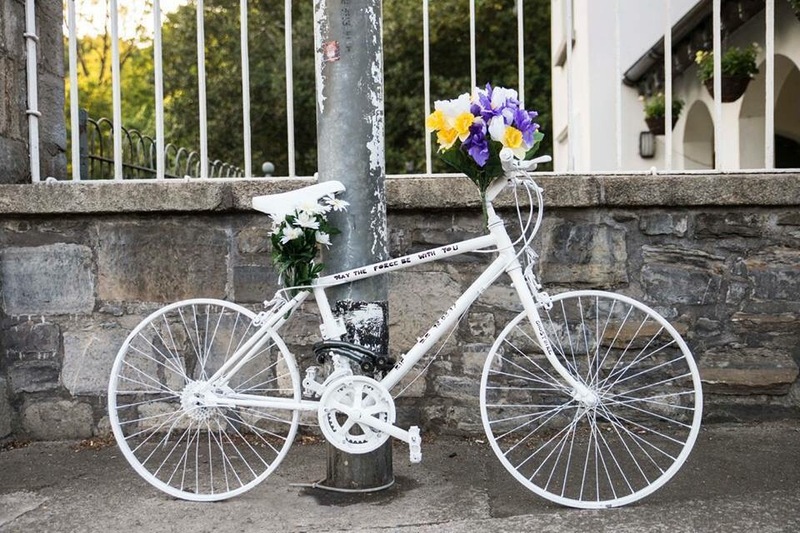 Unfortunately Daragh was only one of 8 people already killed off their bikes this year so far. 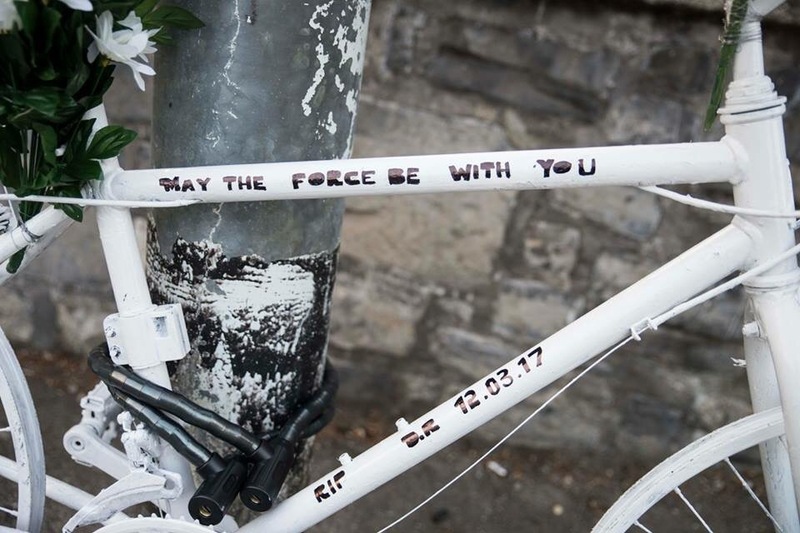 Our thoughts are with his family and friends and those of all the other cyclists killed or seriously injured. Lovely article and photos Cian – well done. I know this park gate very well and use it regularly as a runner. Do we have any idea how the accident happened?